Our specialty is multiple calendars for multiple people. 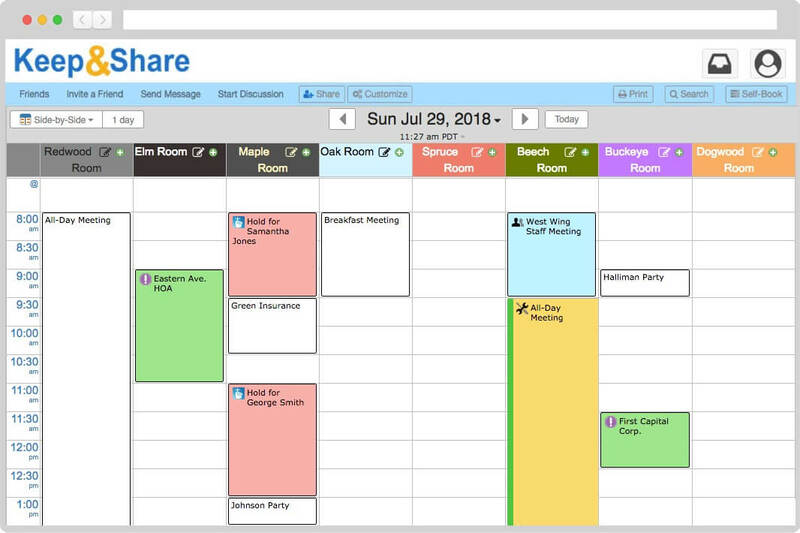 Keep&Share's Team calendars make it easy for you and your team to stay up-to-date no matter where you are. Plus, know exactly who's doing what by when, making sure you'll never miss another deadline. Our Team accounts are designed for groups of users managed by one master account. The master account sets up each sub-account, providing a high level of control over what your staff or clients see & do. FREE set-up consultations are included in every Team free trial! Multi-layered sharing & privacy options keep you in control of “Who sees what” (and who can make changes) at all times. History logs record changes, & backups keep your calendar data extra-safe. You can share anything in your account with anyone, whether they’re part of your team or not. 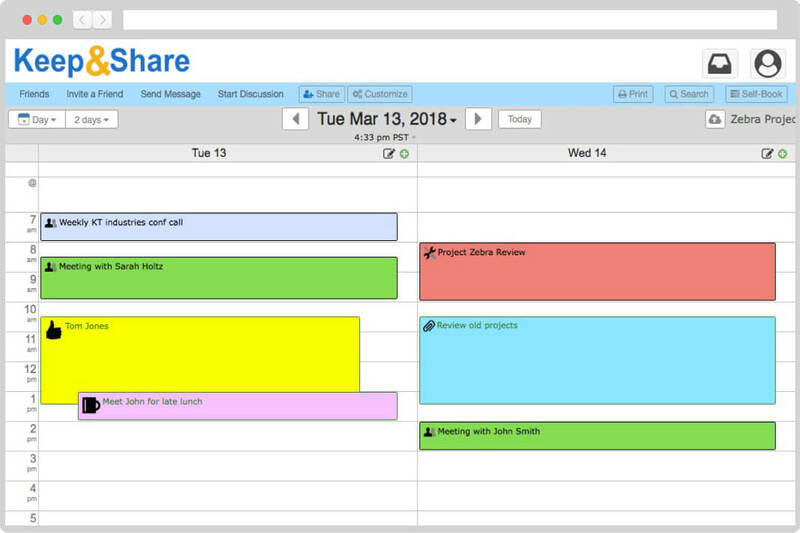 This makes it easy to coordinate with clients, contractors, and anyone else you need for your business. Never miss another deadline — set up automatic email and text reminders for any event or task or your calendar. You can send reminders to yourself any anyone on your team. 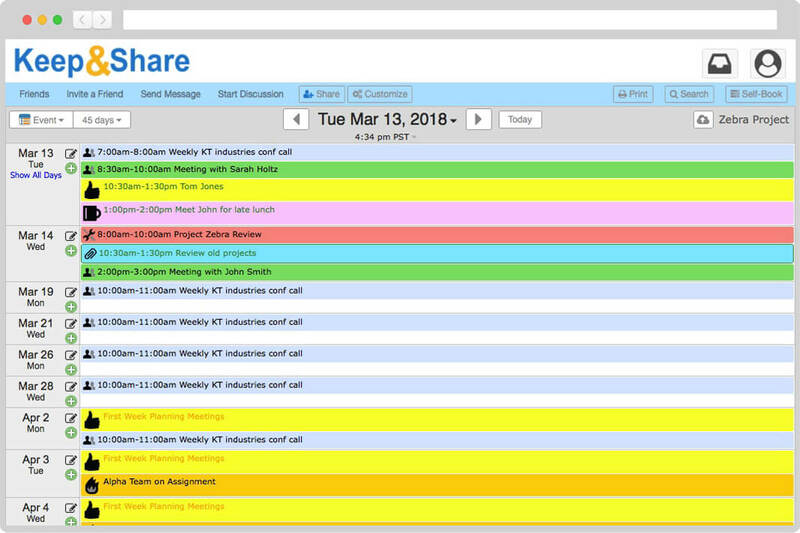 Use custom colors and event tags to group events by team member, location, job, and more. You can even use event tags to filter your calendar for only the events that you want to see. Access & edit your calendar from any device, anywhere, 24/7. Keep&Share is a 100% web-based cloud system which means you can log in & view them from any device with internet, any time. 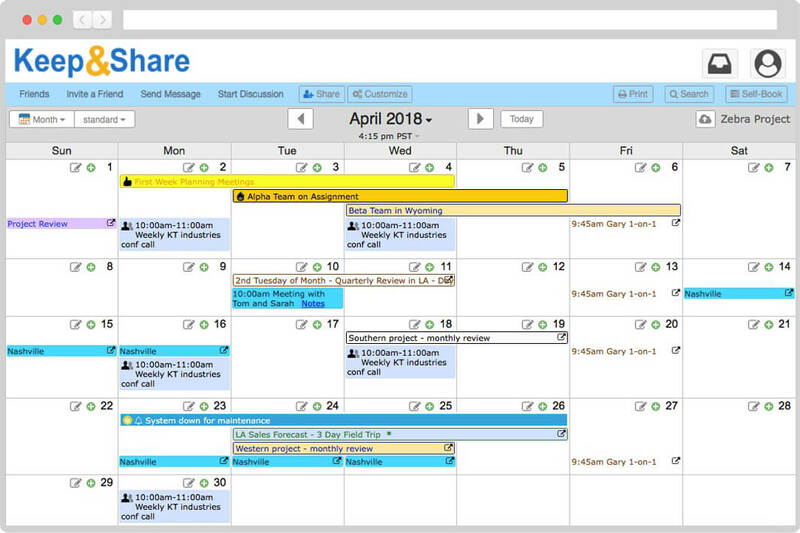 Seeing data from your Outlook, iCal, or Google calendar in Keep&Share only takes a few clicks, and you can send your K&S calendar to them, too. 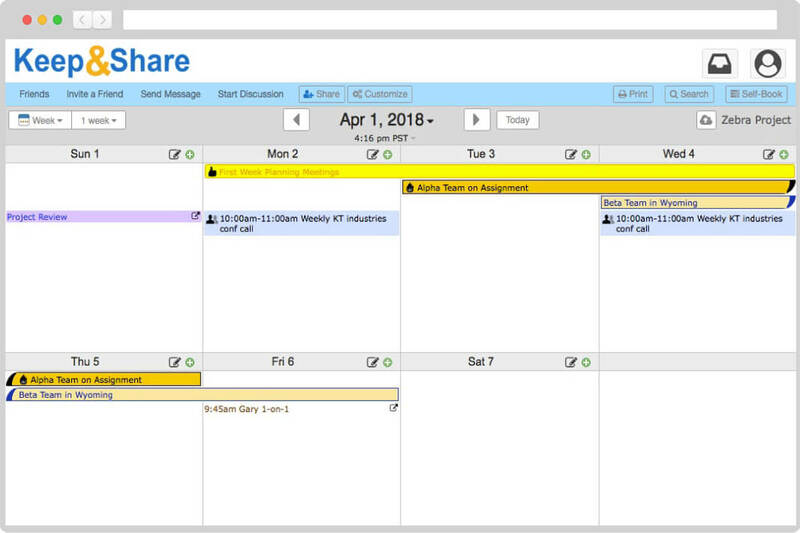 Use Calendar Overlays to combine multiple calendars into one master calendar or use "Side-by-Side" view to easily compare different schedules. Each acccount on a team comes with 30 calendars. 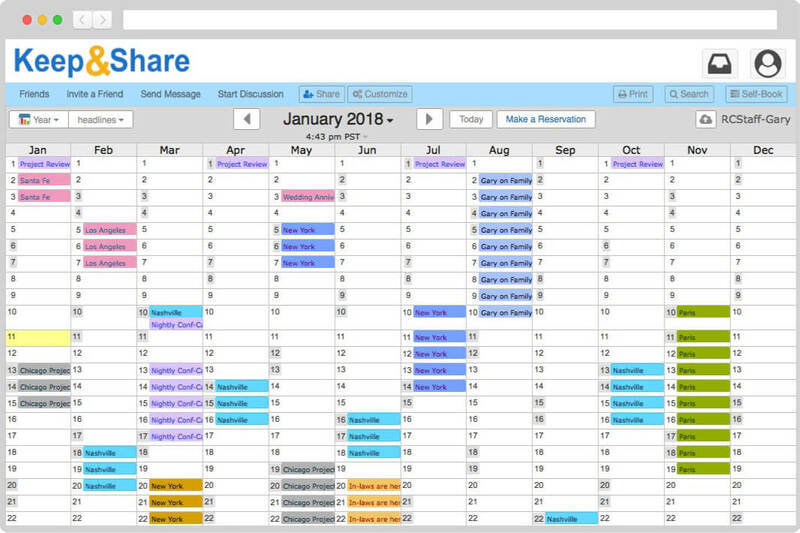 This means that if your team has 3 people, you have access to a total of 90 calendars. Each team account also comes with 1 master account. This is the master account is responsible for managing the other accounts on the team.